New Delhi: In a bid to raise resources for developing its hydropower sector, Nepal plans to offer Indian private sector developers majority stakes in mid-size joint ventures with a capacity of 300-500MW. The Indian partners will be offered majority stakes on condition that they raise the entire debt component for such projects, said Arjun Kumar Karki, managing director at Nepal Electricity Authority, or NEA, the largest power sector utility in the Himalayan nation. The Indian developers will get a 51% stake in such hydropower projects and NEA, representing the Nepal government, a 25% stake. The rest will be offered to the public in Nepal and India. “For bigger projects, having capacity of 300MW and above, we would like to partner with Indian developers. 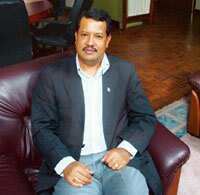 It has never been tried here, (and) we are going to try it," Karki said. “It (the proposal) has not been accepted yet. Our government has just been formed. I have initially discussed this with the government. We will be holding a thorough discussion." During his visit to India that ended last week, Nepal Prime Minister Pushpa Kamal Dahal had invited investments in his country’s hydropower sector, pledging to work towards harnessing 10,000MW of power in the next 10 years. With investment in hydropower projects in Nepal around Rs12 crore per megawatt due to inaccessibility of project sites, the country has an investment requirement of around Rs1.2 trillion to develop these projects. The Nepal government has already begun offering small projects on the same public-private partnership model. One project to be offered through this route is the 42MW Upper Modi project, where South Korea’s Korea Electric Power Corp., or Kepco, has a 70% stake, with the balance held by NEA. The total debt for the project will be raised by Kepco. “Attracting resources and making Indian power project developers participate in (Nepal’s) hydropower projects has been looked at from certain sections of the people with suspicion. However, this could be a wonderful way of raising resources for our hydropower projects," Karki said. “For the hydropower sector, there is nothing beyond this that is required." “It will work. Some reforms in policies will have to come to enable such a model," said Radhesh Pant, managing director of Bank of Kathmandu Ltd, one of the biggest banks in the country, and president of the Nepal Bankers Association, a bankers’ body. “We have not been able to generate the resources required to develop hydropower projects. Our economy has not gone up in the past 10 years. We had political instability, insurgency, no attraction for the private sector, no attraction for foreign investments. The political system has changed, we can now see the environment for investment." “It is an excellent move. The arrangement will ensure that there is adequate private investment in the development of Nepal’s richest resources, while permitting the citizens to participate in the market to gain from upsides. NEA should play an active facilitation role for early materialization of projects, instead of being a passive shareholder," said Anish De, chief executive officer of energy consulting firm Mercados Asia.